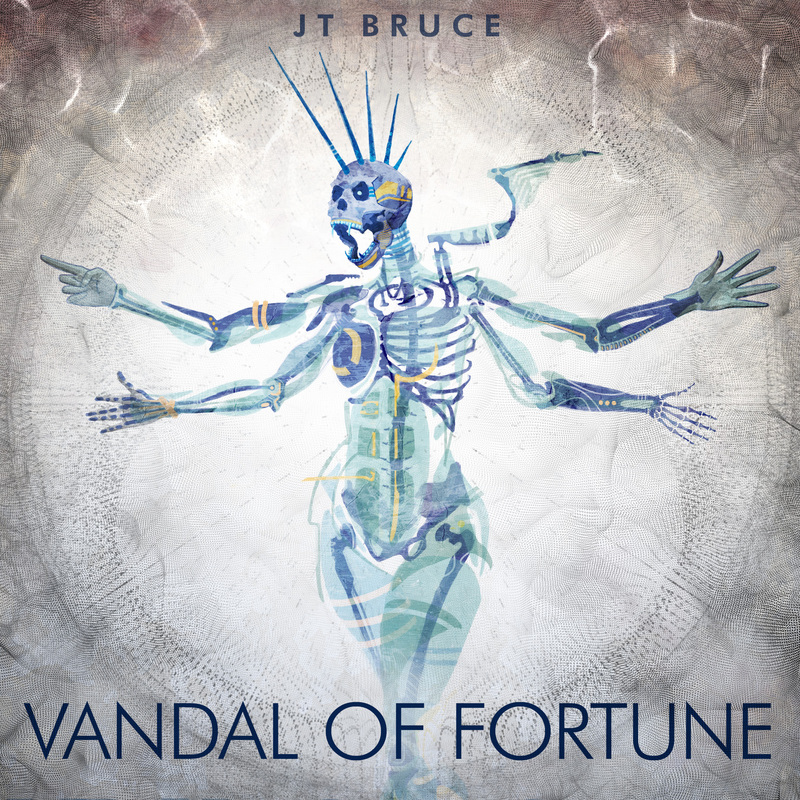 JUNE 1st, 2015: After a 7-year hiatus, American multi-instrumentalist and songwriter JT Bruce returns to classic heavy metal and prog rock foundations with the release of his 4th album – VANDAL OF FORTUNE. Whereas his previous release UNIVERSICA was an ethereal, synth-driven journey through the stars, VANDAL throws keyboards out the window in favor of a staight-ahead progressive metal experience. It’s louder and faster, but never loses its trademark melodic roots. An absence of vocals allows the music to throw off the chains of rigid verse/chorus structures and embrace a true progressive sensibility. From subtle jazz-like passages in “Under Sodium Bulb” to traces of thrash metal in “Stress Fracture” to the classic rock and funk inspired 11-minute epic “The Second Decade,” there is always something new happening in VANDAL OF FORTUNE. The result is a unique and cohesive full-album experience that has been neglected in the days of endless remixes and digital singles. VANDAL features the work of 6 guest musicians, hailing from metal outfits SoulCycle, Second Rate Angels, and Ruined Machines. Guests from the film soundtrack and jazz worlds further increases the album’s range. Since his first album in 2004, Bruce has lead the vanguard of the free music revolution, employing Creative Commons licenses from the beginning. In this tradition, VANDAL is available for everyone to share, stream, and download, for free, in its entirety, forever. Fabulous cover ((star, star, star, star…etc. )!